This week’s meeting of Parry Sound Council is for the most part focused on housekeeping items and moving a few items forward. 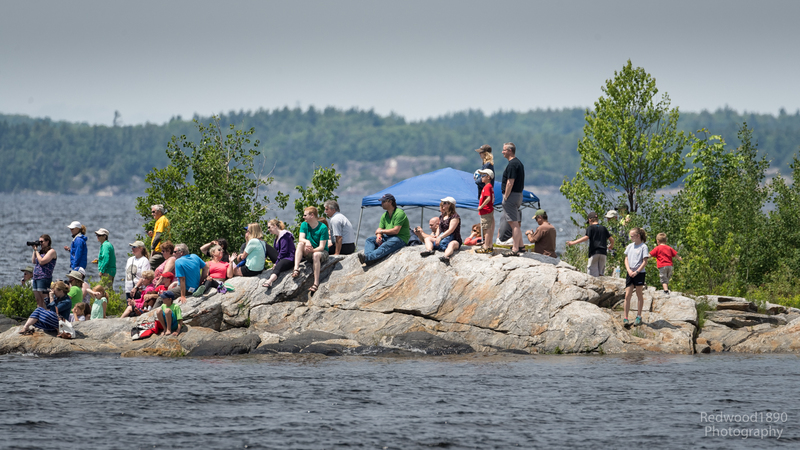 While I might normally recommend staying home and catching the news later, it will be interesting to see what’s up with Sail Parry Sound’s regatta in August (Item 5.1). Sail Parry Sound has started construction on their facility renovation and when it is complete and the regatta is ongoing the Parry Sound waterfront will get just that little more interesting become a more interesting destination. 4.3 – Concern regarding 2 hour free parking when attending the Senior’s Centre. Difficulty with having to move the cars after 2 hours when most are there for over 3 hours. This is the tip of the iceberg in my opinion, parking is free but it promises to be an issue. The issue raised in this letter is that the seniors will not have easy access to parking in front of their senior centre, as it is limited to two hours. They would seem to like it increased to three hours, but that represents a problem for them. If tourists, or merchants, decide to take advantage of a three-hour spot in the downtown the seniors won’t have a parking spot close to their senior centre. They were actually happy putting money in the meter. The issue I see causing a problem is that free parking isn’t really free. It is if you stick with the posted two or three-hour limit. If you exceed that limit and get caught the ticket costs $80. Ouch, ouch, ouch. It’s one thing to get a $10 ticket for an expired meter, but $80 won’t sit well with visitors. In fact the $80 ticket isn’t new, it was always there but it’s likely that if bylaw tagged a car with a $10 ticket that they wouldn’t stick on an $80 ticket an hour later, except in extenuating situations. So what’s to be done? Reduce the over two/three hour ticket to $10? Not monitor the two and three hour limits? I understand the Town sent a response to this letter but I don’t know what was said as it was not included in the council package. To be continued I’m sure. 5.1 – Marianne King-Wilson, Sail Parry Sound Re: Upcoming Regatta scheduled for August 15th and 16th, 2015. 9.2.1 – 2014 Surplus Allocation. Resolution. That Council hereby approves the allocation of the 2014 surplus to the reserve and reserve funds as outlined in Schedule “A”. This section is worth reading, it sets out a plan for how the town will handle variances to approved budgets, deficits and surpluses. It also provides a useful reconciliation for the 2014 budget versus actual. There is an indication that annual budgets will be completed and approved earlier to allow the Town to secure better “off season” rates for certain services. The early bird does get the worm, or at least at a lower price. 9.2.2– 2014 Investment Report. Resolution. That Council accepts the 2014 Annual Investment Report, prepared by the Director of Finance and POA Court Services, and attached as Schedule “A”, in accordance with the Town’s Investment Policy. 9.2.3 – 2014 Reserve and Reserve Fund Report. Resolution. 1. That Council approves the creation of a Police Cost Stabilization Reserve for the purposes of funding future fluctuations in policing costs; And Further that, any unspent police funds in the annual budget shall be contributed to this reserve; And Further that, any overspent police funds in the annual budget shall be drawn from this reserve. 2. That the 2014 Reserve and Reserve Fund Report, attached as Schedule “A”, is received. This is interesting, a reserve fund for police services, perhaps reflecting that there is little uncertainty in future OPP costs. 9.3.1 – Quotation – Accessible Vehicle for Specialized Transportation. Resolution. Whereas on April 21, 2015, Council determined that the best use for the accumulated Public Transit Gas Tax Reserve Fund was to purchase a vehicle to be used for the provision of a new and improved method of accessible transportation for the residents of Parry Sound and directed staff to negotiate an agreement with the West Parry Sound District Community Support Services (CSS) for the provision of a specialized transportation service; and Whereas CSS obtained quotations on behalf of the Town for a suitable vehicle to be used for the delivery of this service; Therefore upon the recommendation of CSS, Council accept the quotation from Creative Carriage Ltd., for one (1) Dodge Ram Pro-master 2500,159″ Window Van, including the required conversion package, in the amount of $77,483.96, including applicable taxes, this quotation being the lowest quotation of two (2) quotations received to be funded from Public Transit Gas Tax Reserve funds as outlined in Schedule “A” attached. 9.4.1 – Funding Applications – Trestle Brewing Company Ltd. Direction. That Council authorize staff to submit an application to the Northern Ontario Heritage Fund (NOHFC) for funding assistance for works to be completed on the public components of the Trestle Brewing Company Ltd development project; and That Council authorize staff to submit an application to FedNor for funding assistance for works to be completed on the public components of the Trestle Brewing Company Ltd. An interesting proposal to use public funds, albeit provincial, to support local industry. 9.4.2 – 80 Bowes Street – Sign Variance Application. Resolution. That the Chief Building Official is authorized and directed to issue a permit for a temporary sign upon the Bowes Street road allowance, according to conditions and variances listed in Schedule “A” attached. Temporary in this case is five years. It concerns a gas price sign for the Pioneer Gas Bar on Bowes Street on the Town’s boulevard. Do we really need to junk up the Town any more? Just drop by any of the gas stations if you need gas, it’s the same price everywhere in Town, and more expensive than in Huntsville and Bracebridge. I disagree with this request; it doesn’t make sense and is a request for free advertising. There are recommendations being floated to tighten up sign restrictions in the downtown, let’s start by not making mistakes in other areas where we have the choice. 10.2.1 – By-law to specify claw back percentages for 2015 property taxes. Being a By-law to Specify the “Claw-back Percentages” in Respect of Properties in the Commercial Classes, Industrial Classes and Multi-Residential Classes for 2015. 10.3.1 – Three Way Stop Installation – Isabella and Beatty Street Intersection. Being a By-law to amend By-law 2013-6205, a by-law to regulate and control traffic within the municipality. Makes sense with the new school opening in the fall. Let’s make it as safe as possible for the kids. 10.4.2 – New Site Plan Control By-law. Being a By-law to designate a Site Plan Control Area for The Corporation of the Town of Parry Sound and to repeal By-law 1980-2835. This by-law reduces the size of a building or property renovation that is exempt from a site control plan. This seems to tighten things up and may reflect the issue that arose with stormwater management in the past year. It recognizes that changes to the footprint of a building can impact not only stormwater but also the character of the building. See you Tuesday. Head over to the Town’s website for a copy of the agenda without the attachments and details. The detailed agenda can be obtained by contacting the deputy clerk at the Town Office or from the menu above “Tops Agenda Packages”.